The McGill University, Canada is partnering with the MasterCard Foundation Scholars Program (MFSP) to offer undergraduate Scholarships to eligible African students for the 2019/2020 academic session. About Scholarship: McGill University and The Mastercard Foundation are pleased to offer full scholarships to economically challenged, academically gifted Master’s students from Sub-Saharan Africa through The Mastercard Foundation Scholars Program. In addition to financial support, Scholars are provided with a comprehensive support network that includes an array of mentoring and support services to ensure each student’s academic success community service engagement and transition to socially relevant employment opportunities, when they return to Africa at the conclusion of their studies. 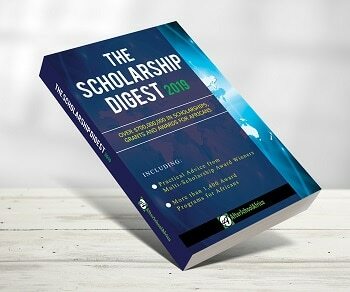 How to Apply: Because applicants to The MasterCard Foundation Scholars Program do not have to pay the $107.50 application fee, you must follow a special application procedure. You will find detailed instructions on this special procedure, and complete information about applying to McGill as a MasterCard Foundation Scholar, from the link below. Important Note: This application is for MASTER’s (non-thesis) applicants only.